People often discuss the physical implications of diabetes. If you don't control your blood sugar you are going to lose your feet. If you don't control your blood sugar you are going to end up blind. There are two sides of diabetes - Physical and Mental, Both sides of diabetes are just as important as each other, and that is a that many people don't realise. The people around me, especially my family who live with me, see both sides of Type 1 Diabetes. Often I get so upset about living with this condition that I lash out. My mum and sister get upset when I'm upset. They hate seeing me like that, and the mental side of diabetes can be degrading, and it can hurt people around you as well. My Family understand that I just get frustrated when I try so hard all the time, and often it isn't good enough, and my blood sugars go haywire anyway. It is hard when all that hard work was for nothing, and then I have to go and do it again. So if I lash out, or don't say a word, I am probably just upset about how frustrating controlling my blood sugar can be. My family know what not to say when I'm upset, or when not to ask how my diabetes is going that day, and I feel so grateful for that. When I'm not in a good place with my diabetes, I either go to the gym, which always cheers me up, or I go to bed. This is not the ideal place, because it gives me too much time to think, but it is warm and it gets me away from people around me who may judge me. Being a teenager, I find it hard to feel normal around my peers. That is the hardest thing for me. I sit my exams separate from everyone else. I end up going hypo in shops and have to stop everyone from their shopping. My blood sugar is high so I constantly have to go to the toilet and interrupt people. It is the little things that upset me, but I have amazing friends who support me and are very accepting when something happens. So if you have friends that don't accept both sides of your diabetes, they aren't people you should surround yourself with. The physical side of diabetes is important, but so is the mental side. Physiologically speaking, it is very difficult to control something 24/7, have a chronic condition, and not get upset when things go wrong and you end up feeling ill again. 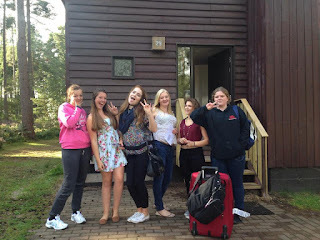 Diabetes Blog Week - "Message Monday"
This week is Diabetes Blog week, and today's topic is "Why are we here?". Why do we blog about diabetes, how does blogging benefit us, and what message do we want to portray through blogging? The message I want to portray through blogging is how tough living with Type 1 Diabetes is. "You don't know what it's like unless you've lived it", and I am trying to let those who are not living it know what it's like. The most important diabetes awareness message I would like to put out there is how hard living with type 1 diabetes is, and how much having it affects my everyday life. I often appear as if I am getting along perfectly fine, as that is the front I put on around others. Inside, my mind is always thinking about my Type 1, and how my next move will affect it. 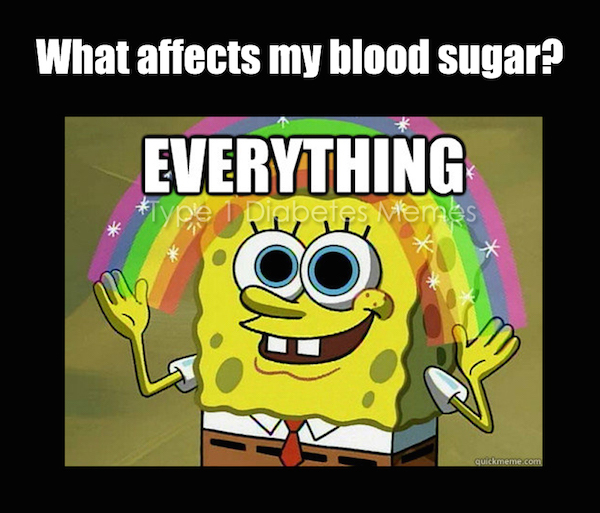 My family and friends don't understand how much having high blood sugar affects me, or how long after a hypo I feel the effects of it. I try to let my readers know that it does affect me a lot, but treat me as normal as possible, because there is nothing worse than getting opportunities denied because of diabetes. I blog because I hope that the misconceptions about Type 1 Diabetes can be overturned, and people will understand Type 1 Diabetes better. 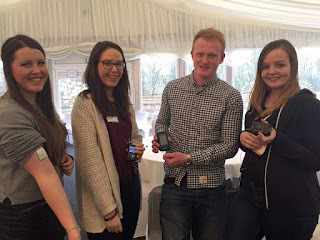 I blog because I want people to read about diabetes, and be genuinely interested, so that if they meet a diabetic in the future, they will understand them as well. I want people to be more educated about the implications of Type 1 Diabetes. That's why I blog, and that is the message I wish to portray through blogging. With Type 1 Diabetes, there are a lot of bad days and not as many good days. As it is such an unpredictable condition, the slightest factor can set me off, the heat, the cold, stress, hormones, and the list goes on. People around me often get frustrated that I don't check my blood sugar as often as I should, or don't change my pump set every 3 days, or that I turn the alarms off on my pump. The truth is that I get overwhelmed by the amount of work I have to put into being alive. My mum tells me that I have to keep checking my pump and make micro-corrections on my pump to control my blood sugar, but most of the time I find it an extra effort to simply make a bolus for my meal, and even then I almost always guess the amount of carbohydrates in food. Today I had to change my CGM, and then my pump set got pulled out. The utter lack of motivation I felt to do anything about it was draining. Having to think about the stress of exams, and then having another small obstacle thrown at me is utterly tiresome. It took me about 40 minutes to finally get my stuff together to change my set (You're only aloud to have a pump off the maximum of 1 hour). 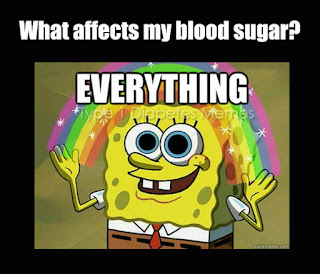 My CGM had to be changed, because I have an exam tomorrow, and I need to be able to see my blood sugar during, but my I knew my blood sugar was high, so I didn't want to have to see that on my pump screen. Today wasn't a good day. To those around me, I was fine and even happy. Inside though, I was really struggling with everything. Type 1 Diabetes is constant, and a lot of the time it utterly overwhelms me. I just want to be like a normal teenager, but sometimes the realisation that I can't do everything makes me upset. Basically, all I'm saying is that because my blood sugar isn't perfect at all times, don't judge. Having a chronic condition is hard, and I do my best, but sometimes it is so hard to keep up with both my blood sugar and the things I want to do simultaneously. My blood sugar will go lower and my blood sugar will go higher, but it is all part of the process, and I'm trying my best. I remember when I was first diagnosed with Type 1 Diabetes, I was really naive. I never understood the severity of the situation, and I never understood why my mum was in tears. I never understood that I would be controlling and self-dosing a potentially lethal drug. I never understood the implications that it would have on exercise, eating and on future jobs. Now I'm 3 years in, and I fully understand everything having Type 1 Diabetes entails. Although I have only had diabetes for 3 years, I feel like I have had it for much longer. I can barely remember what it is like to not have to calculate a dose of insulin before my meal, to not have to plan every move I make. I don't remember being able to be spontaneous. I now understand the stress my body is put under, but also the mental effects having a long term condition can have. There have been many downs along the way. 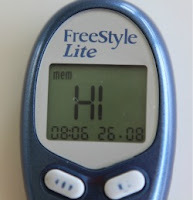 My first hypo. My first HI (blood sugar too high to register on a meter). My first hypo seizure. The first time I ripped out my cannula on a door handle. Having to cancel my expedition to Morocco due to diabetes. Having to rethink my plans to study nursing because of diabetes. There will be many more downs to come, I'm sure. Type 1 Diabetes has also given me a lot of opportunities. I have met some of my best friends because of the common factor of diabetes. I have got to volunteer with diabetes Scotland and been nominated for awards because I have diabetes. I am so thankful that I have been lucky enough to be given these opportunities. Diabetes UK have done a lot for me. 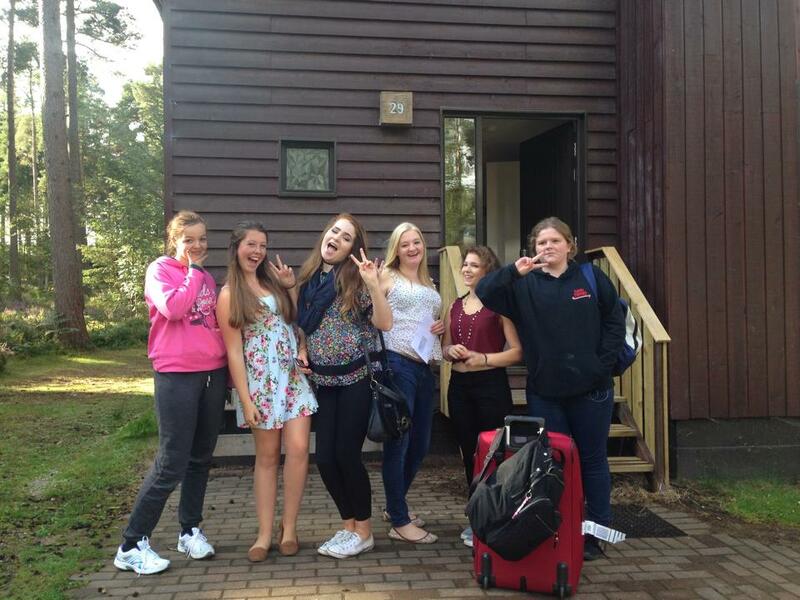 The meetings, camps and conferences that are diabetes related have been amazing. I have met so many wonderful and inspirational people. The people with diabetes conference was amazing because it introduced me to so many different types of people. The Diabetes UK care events were amazing because everything was relatable. It's these things that makes having Type 1 Diabetes tolerable. A diaversary is a diabetes anniversary. 3 years to this day I was in the doctors getting told I had to get to the hospital as quickly as possible. 3 years ago today, my whole life changed and I never knew it. I would tell people about my diagnosis and they wouldn't believe me at first. Everyone believes me now. I have had a rough 3 years. Here's hoping things get easier from here!